I have used Salvia leucophylla Point Sal extensively in locations that adjoin wild lands. 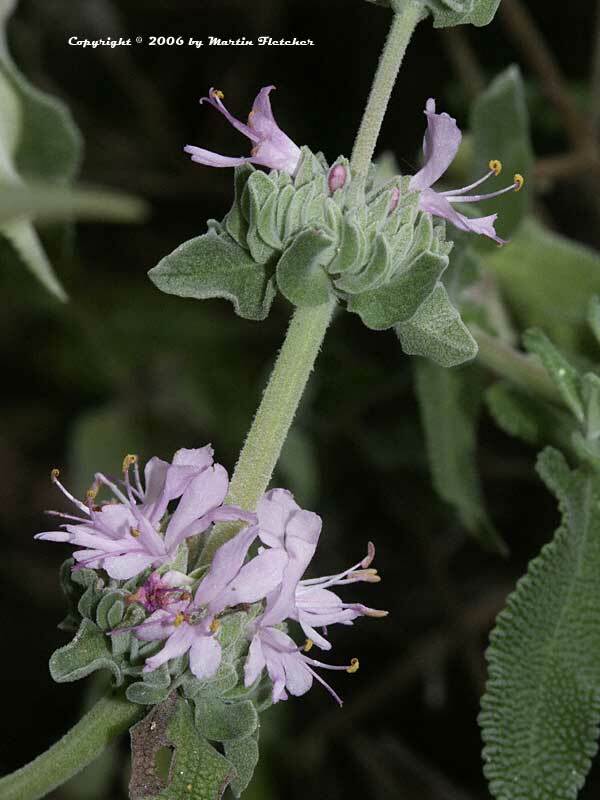 The Purple Sage has the look and character of the native plants, as it is one. Point Sal is a selection that stays comparatively low. It typically only gets to 3' tall. This Purple Sage spreads as much as 8' or more. For an even lower growing cultivar look to Salvia Bee's Bliss. The leaves and foliage are both quite fragrant. Salvia leucantha Point Sal Spreader is a great addition to the hummingbird garden as well as the butterfly garden and it is a great source plant for sage honey. Nectar feeders like the Painted Lady, Northern White Skipper, the Mournful Duskywing and the California Dogface Butterfly are regular visitors to Salvia leucophylla during the Summer months. High resolution photos of Salvia leucophylla Point Sal Spreader, the Point Sal Spreader Purple Sage are part of our garden image collection.